Believe it or not, this is the second book review I have ever written in my life so far. If my memory serves me right, my first book review was when I wrote at the tender age of 7 on a children’s book “Daddy Long Legs" which was successfully published in the esteemed children's magazine Bobo. I found the “Daddy Long Legs” story very inspiring, as the story concerned the protagonist's effort to attain higher education. Looking back, I think that was the moment that the seeds to pursue higher education was planted in my mind. And now, as I’m taking a short break from said higher education, I think it is suitable to do another review on a book that is near and dear to my heart (as well as my head): my father’s latest publication titled "Demokrasi Indonesia: Antara Asa dan Realita." (Indonesian Democracy: Between Hope and Reality). This book is a compilation of essays originated from his facebook posts from 2007 to 2017, 10 years worth of social media posts. This book, published by a Yogyakarta-based publisher, Galang Press, is interesting in that it chronicled the journey undertaken by both Indonesia and Indonesian civil society in its quest to establish a democracy after 32 grueling years of oppressive dictatorial regime. The overarching thesis of this book is that the establishment of a democratic Indonesia is still a work in progress, for lack of a better word. For some people, the very concept of democratization can seem a bit abstract, so this book provides a more realistic view on what it takes to achieve such a state. One can follow this journey through the almost daily writings that commented on issues that arose as the consequences of this democratization efforts, almost like case studies. The topics range from how the practice of politics was being conducted by the politicians and incumbent administration; how elections, a crucial part of any democratic system, was conducted with a lot of controversies surrounding it, and how in this post-reformation era tolerance as a way of life is in decline due to the rise of extremism and radicalism in the Indonesian religious discourses and practices. I want to focus my review on the last topic I mentioned previously. Religious tolerance is a crucial part of the Indonesian society. As I have stated in my previous writings, I believe that tolerance is key in maintaining a united Indonesia. Our country is uniquely heterogenous, and it has been so since the founding of this country. In the last 10 years, we have seen an increase in cases of religious violence as chronicled in this book. Among these cases are the persecutions of the Shi'ites and Ahmadis, the continuing debate on whether extending felicitations to people of different religion constitute a “sin” to the rise of the Islamic Defenders Front (FPI) and their agenda to the mainstream stage. Those issues are still alive and well though some of the mainstream media discontinue their coverage. As far as I know the forced relocation of the Shi’ites and Ahmadis are still unresolved despite the teams formed to broker a deal or identify a solution. Christmas celebration in Indonesia are still accompanied by the age-old debate to wish or not-to-wish “Merry Christmas” and the presence of heavily armed police and army forces at churches across the country. And after the divisive and poisonous Jakarta gubernatorial race, the FPI emerged as a political force that we are forced to reckon with. 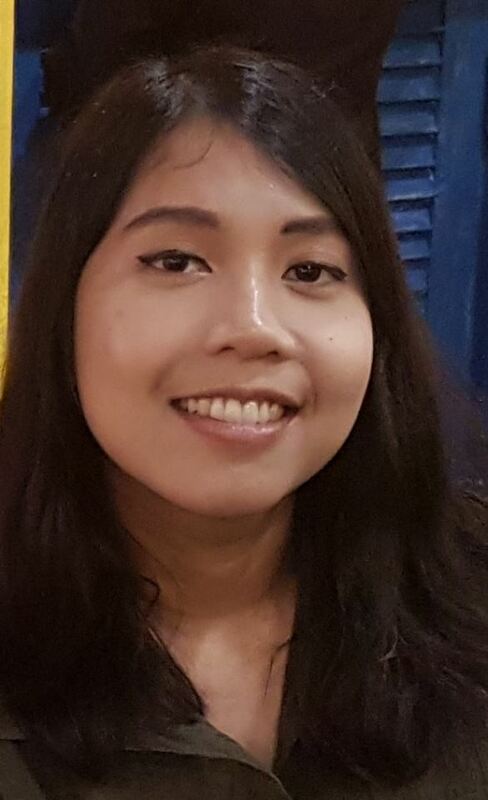 These are the realities that we face today as Indonesians. It signifies the need to reconcile the facts that we have to consolidate the many aspects of our society in this great experiment we are conducting to become a more democratic society. Nowadays, we know that the existence and legitimacy of democratic governments around the world are being undermined by subversive forces from within those countries, or from the outside. To cite an example of this phenomenon, we need to look no further than the United States. Ever since numerous evidence have emerged that Russia has tampered with the 2016 presidential election, the legitimacy of the current administration has been brought into question. Questions on whether they have the nation’s best interests at heart and whether they are under the influence of a hostile foreign power is a shroud that will forever blanket the policies and conducts of the current administration. In Indonesia, we are now preparing for a general election that will take place next year. Seeing the trend that has emerged from the previous years where attempts have been made to subvert and influence election outcomes, it is worth mentioning that our government can’t afford to be complacent when it comes to election security. Having a fair and open election will be one of our shields in maintaining our sovereignty. Compared to the United States or other Western countries, it is fair to say that Indonesian democracy is still in its infancy. And like an infant, falling is part of the learning process. Indonesia still has a long way to go to be an established democratic nation, but it is possible to achieve such a feat. A quote that is attributed to Winston Churchill, British prime minister, stated that “democracy is the worst form of government, except for all the others.” One can interpret this quote to mean that while democracy might not be the best system of governance, it is still better (or less bad) than other forms of governments. Now, no system works perfectly unless they exist in a vacuum, and since we are not located in outer space, we will have to contend with the fact that our system will have some inefficiencies. All we can do is increase the instances where the good that can be reaped from democracy outweighs its disadvantages. As our founding fathers and mothers have attested, a Pancasila-based democracy is the only acceptable form of government that works for Indonesia. They have given no less than their lives to establish this nation. As the generations that survive them, what we need to do is to honor their sacrifices and live up to the phrase “mengisi kemerdekaan” (giving more substances to our independence) by defending the sovereignty of country. Don’t let this be a pretty, but empty phrase one would say when August 17th is around the corner. In its own way, this book is my father's attempt to fulfill such a task. 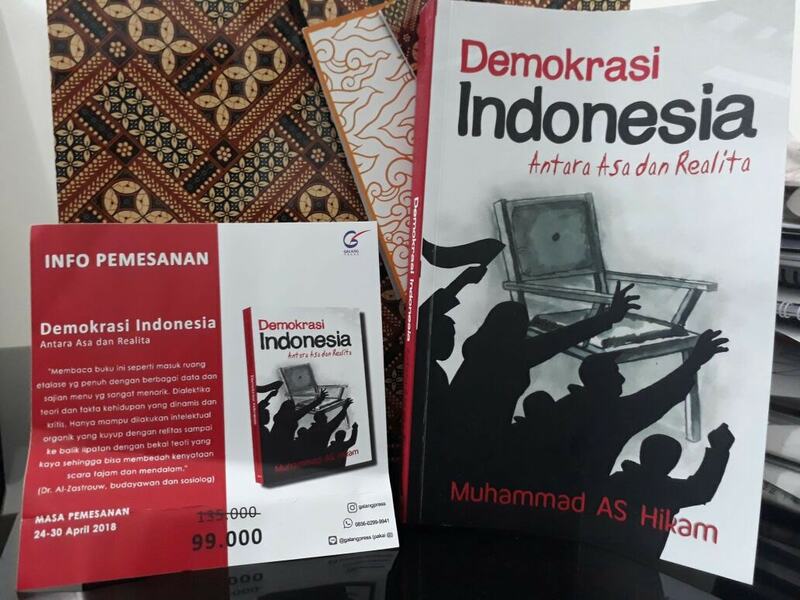 The book is an instrument to socialize and bring more awareness to the concept of democracy and the current realities we live in Indonesia and how much more work are still left to do for us.